The Sapir-Whorf hypothesis is the idea, first codified in the 1930s by linguists Edward Sapir and Benjamin Whorf, that a speaker's language affects his/her cognition and brain wiring. It's still a controversial idea now, eighty-some-odd years later. Some linguists buy it, often citing examples such as the languages of a couple of Siberian nomad groups that have no words for left, right, in front of, and behind -- they relate everything to cardinal directions. (To them, my coffee cup is currently east of me, not to my left.) Investigations into these speakers have suggested that they have trouble even comprehending left and right -- when linguist and anthropologist David Harrison went there and tried to explain the concept, it elicited puzzled laughter. "You people are arrogant," they told Harrison. "You orient the entire world relative to the position of your own body? So when you turn around the entire world changes shape? Ridiculous." Other linguists are not so sanguine. There is evidence to suggest that any concept could potentially be expressed in any language by any speaker, and the oddness of left and right to the Siberians doesn't reflect their brain wiring any more than my inability to understand multivariate statistics reflects mine. If I were sufficiently motivated and worked hard enough, I could learn whatever I wanted, and so can they; just because concepts are unfamiliar to a group doesn't mean their brains are wired differently. The pro-Sapir-Whorf group got a bit of a boost this week from the publication in Scientific Reports of a study by Federica Amici, Alex Sánchez-Amaro, Carla Sebastián-Enesco, Trix Cacchione, Matthias Allritz, Juan Salazar-Bonet, and Federico Rossano, of the Max Planck Institute, the University of Florida, and the University of California-San Diego, called, "The Word Order of Languages Predicts Native Speakers' Working Memory." 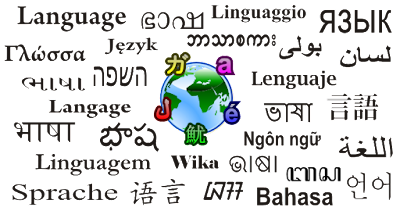 The gist of the experiment is that the researchers looked at differences in working memory between native speakers of languages that tended to put modifiers after the verbs or nouns they modify (the languages they chose in this category were Thai, Ndonga, Khmer, and Italian) and ones where the modifiers usually come in front (Sidaama, Khoekhoe, Korean, and Japanese). They recruited between twenty and thirty volunteers for each language, and gave them tests of their working memory, and found a clear correlation. 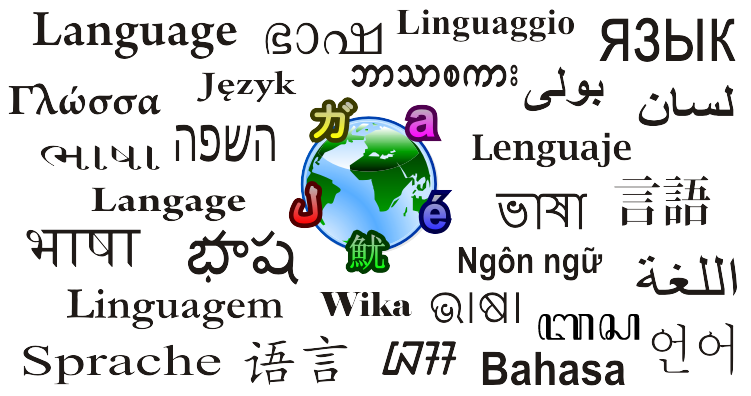 Speakers of languages where modifiers precede the noun or verb tended to have better working memory than those who speak languages where the modifiers follow the verb. The guess they have is that for the first group, you have to keep track of the modifiers without knowing what noun or verb they'll apply to; for the second, you find out the noun or verb first, and simply modify it as you go along. As predicted, LB [left-branching, languages where the modifiers come first] and RB [right-branching, languages where the modifiers come afterwards] speakers were significantly different in their ability to recall initial and final stimuli, showing a clear link between branching direction and working memory (WM). In WM tasks, LB participants were better than RB participants at recalling initial stimuli (and RB were better at recalling final stimuli)... These results confirm our hypothesis and suggest that sensitivity to branching direction predicts the way in which humans remember and/or process sequences of stimuli, as real-time sentence comprehension relies more heavily on retaining initial information in LB languages but not in RB languages. Interesting results, and certainly worthy of further investigation. My hunch is that it won't turn out to be this simple; it's hard to imagine that something as simple as word order in sentences could have a profound effect on something as complex as memory. But the correlation is there, and surely deserves an explanation. Another one I'm curious about is whether speakers of tonal languages, such as Thai and Mandarin, are more likely to have perfect pitch -- something that (if true) would also bolster Sapir-Whorf. In any case, the Amici et al. paper is pretty fascinating, and further elucidates the interplay between our behavior and our neural wiring. I look forward to more research on this topic -- and more evidence, one way or the other, regarding how language shapes our brains. Humans have a morbid fascination with things that are big and powerful and can kill you. Look at the number of movies made and books written about tornadoes, hurricanes, earthquakes, and volcanoes, not to mention hordes of predatory dinosaurs picking people off the streets. But in the "horrifically dangerous" category, nothing can beat black holes -- collapsed stars with a gravitational field so strong not even light can escape. If you fell into one of these things, you'd get "spaghettified" -- stretched by tidal forces into a long, thin streamer of goo -- and every trace of you would be destroyed so thoroughly that they'd not even be theoretically possible to retrieve. Add to that the fact that because light can't escape them, you can't even see them. Kind of makes a pack of velociraptors seem tame by comparison, doesn't it? So no wonder there are astrophysicists who have devoted their lives to studying these beasts. One of these is Shep Doeleman, whose determination to understand the strangest objects in the universe is the subject of Seth Fletcher's wonderful book Einstein's Shadow: A Black Hole, a Band of Astronomers, and the Quest to See the Unseeable. It's not comfortable reading -- when you realize how completely insignificant we are on the scale of the universe, it's considerably humbling -- but it'll leave you in awe of how magnificent, how strange, and how beautiful the cosmos is, and amaze you that the human brain is capable of comprehending it.